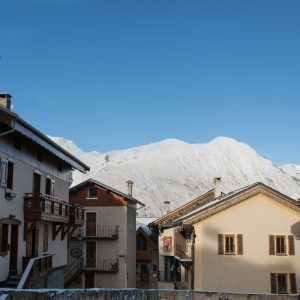 Small chalet apartment for rent in St Martin de Belleville, ideal for a small family of four. 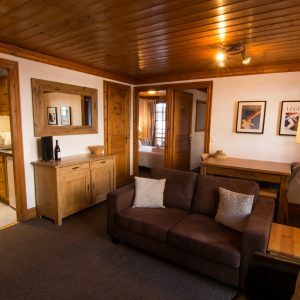 Bright and spacious, balconies and log fire - The ideal ski apartment. 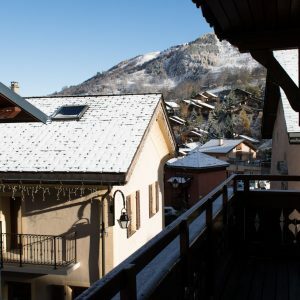 Rent this chalet apartment in Saint Martin de Belleville, 3 Valleys with two bedrooms and an open-plan kitchen, living and dining area. 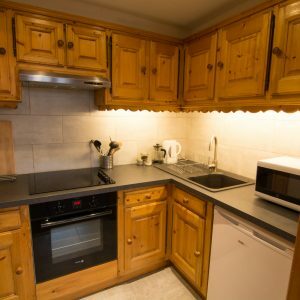 The kitchen has been renovated in summer 2017 with new appliances! 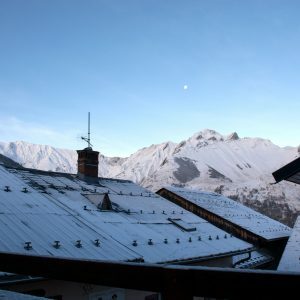 Perfect to cater for a self-catered holiday in the French Alps. 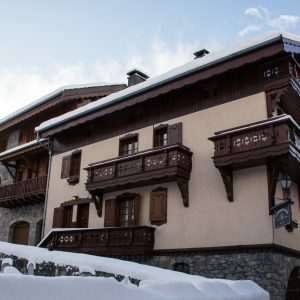 Ski chalets in St Martin de Belleville for rent such as this apartment situated on the first floor of Chalet Alice Velut. The closest restaurant isn't far away! 'La Lachenal' serves delicious Savoyard meals for a great price! 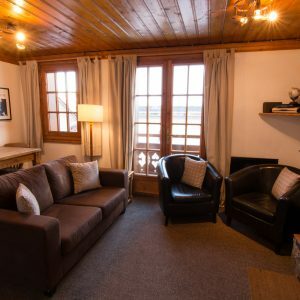 The apartment Marguerite is situated on the first floor of Chalet Alice Velut in St Martin de Belleville and therefore benefits from fantastic mountain views. 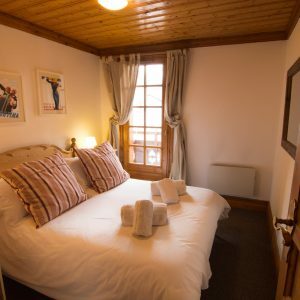 Chalet Marguerite is situated on the first floor of Chalet Alice Velut and has an identical footprint to the apartment ‘Azalée’ below. 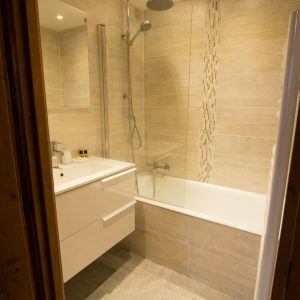 It’s a cozy and charming little apartment, ideal for a family or small group of friends. Whilst the apartment sleeps 4 people in two bedrooms a 5th child can sleep on a fold-out bed in the lounge for a small surcharge. 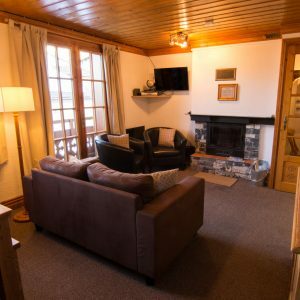 The living area is open-plan with a niche kitchen, dining area and a cozy lounge with real log fire! There are several balconies and due to it’s location on the first floor this apartment has lovely village and mountain views. 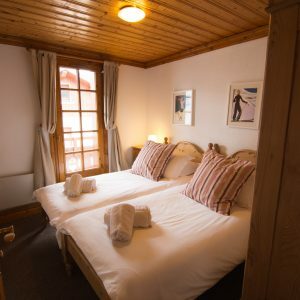 The ski apartment ‘Marguerite’ is situated on the first floor of ‘Chalet Alice Velut’ – right next to the apartment ‘Violette’. 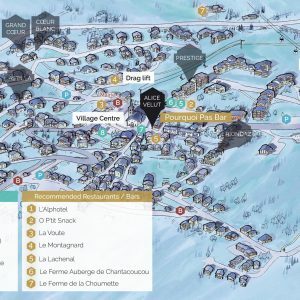 This fabulous village location offers all necessary amenities such as a supermarket, a good choice of restaurants, a handful of bars, a great bakery several ski rental shops and much more – All on your doorstep! The closest ski lift (a one-man drag lift) is located within 50 meters. The drag lift brings skiers up to the higher part of the village within a couple of minutes. 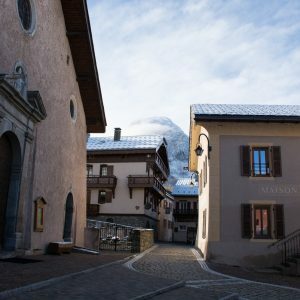 There you can find the main ‘St Martin 1’ gondola, the ski pass office, further ski rental shops as well as the ski school meeting point. ​On foot the higher part of the village can be reached in less than 10 minutes – It’s a nice stroll through the village! The prices above allow up to 4 people in the ‘Marguerite’ apartment.
" [...] Nadine was so friendly; helping us before and during our stay. 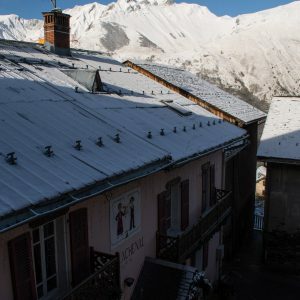 Accommodation is in perfect location; 100 yds to bucket lift, 200 yds to ski hire, 100 yds to restaurants and supermarket. Pub underneath is great for apres-ski and music during the week stopped at a decent time. [...]"